We say that God is supernatural and can work wonders. We say that we believe in His wonder working power. But do we live as though He still is the God of miracles? Whether it's healing, restoring, breaking the chains of addiction, or even bringing back from the dead we say that God has the power to do all things. Examine with us the way He works miracles, and why sometimes we don't see everything we are hoping for. Most of us want to see God move mountains in our lives. 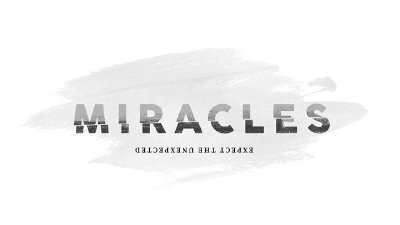 He still works miracles today, but often we neglect the fact that He's already done the greatest miracle of all. Check out week 5 to be reminded of what miracle changes everything.